Your local Computer Support North Shore experts providing fast onsite and remote IT assistance. Are you looking for local IT and Computer Support North Shore based? Techstream Solutions specialises in providing comprehensive computer support services for small, medium and large size businesses. Our aim is to deliver exceptional computer support to upper and lower North Shore businesses of all sizes from start-ups to enterprises including support for in-house IT Departments. Roseville to Hornsby or from Mosman, Willoughby, Lane Cove or North Sydney, Techstream Solutions “computer geeks” are available to deliver convenient support onsite or remotely. Computer Support : Our computer support north shore services aim to complement businesses of all sizes, from start-ups to enterprises including support for in-house IT Departments. In fact, our computer support north shore technicians are readily available to offer expert support services via our local help desk, remotely or on-site, depending on your requirements. Computer & Internet Security : Protection from ransomware, phishing and spamming attacks with cryptolocker decryption. We aim to prevent and protect your business from any such threats by managing and creating an effective security solution in an effort to build maximum defence. Furthermore, in the event of a suspected security breach, we aim to provide quick and effective restoration of your workplace environment. Tech tip : Is your business prepared for a Cyber Attack? Office 365 Business : As computer support North Shore experts, we can increase your businesses’ productivity with Office 365 implementation, integration and offer peace of mind through follow up technical support. 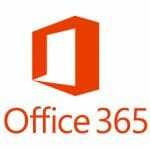 Office 365 Business is the popular Cloud based Microsoft Office software suite that can be purchased through subscription plans. It seamlessly connects familiar office applications to deliver business class features for small to medium sizes businesses and enterprise users. Tech tip : How do you protect your data in Office 365? IT Consultancy : We have the expertise and skills to successfully manage all aspects of your computer upgrades. Our expert IT consultancy services are all in a day’s work. Our team of highly qualified systems engineers and technical specialists offer the expertise, knowledge and skill available to assist your organisation to make the right decision. Your ITC infrastructure is likely to be one of the biggest capital investments your organisation will make so it makes sense to seek independent, specialist advice from an expert before you commit to the investment. Cloud Services : Cloud computing provides our clients with the flexibility of storing and accessing data and programs over the Internet instead of your computer’s hard drive or internal server device. Cloud computing is advantageous to any business organisation. It allows you to set up what is essentially a virtual office to give you the flexibility of connecting to your business anywhere, any time. Managed IT : We can proactively monitor and manage every aspect of your computer infrastructure. By listening to our clients and conducting a thorough analysis, we are able to effectively evaluate the best managed IT service solutions for your organisations requirements. IT Auditing : Providing the insight and knowledge required to build the right foundation for business growth, development and success. Ideal for organisations who are experiencing significant changes or growth to their current infrastructure, IT Auditing can be a fundamental business requirement. As well as allowing you to understand your current workplace infrastructure, IT Auditing provides the insight and knowledge required to build the right foundation for future business growth, development and success. Connectivity : We offer expertise, knowledge and products that deliver high speed internet connectivity solutions. Solutions offers clients the expertise, knowledge and products to deliver a connectivity solution that will meet the specific usage needs of your business. We offer a range of options depending on your requirements and the available infrastructure on the North Shore. Tech tip : Switching to the NBN? Telephony : We are your local computer technology shop on the North Shore. Whether you require a traditional phone or VOIP system, Techstream Solutions can assist with sourcing the right product for your business including full implementation and redirecting of your phone numbers with little to no impact to you or your customers. We are also able to provide your business with dedicated national or free call numbers. Our partnerships with reputable communication wholesalers have secured competitive rates and business phone plans for our clientele. Website hosting : We’ll look after your website, providing a high performance, secure and scalable hosting solution. We can assist with providing hosting services and solutions for your business within a shared or dedicated hosting environment. We’ll look after your website like it is our own, providing a solution with the highest levels of performance, security and reliability. Our computer support “geeks” are available to attend your North Shore workplace onsite to assess and repair any computer problems that cannot be resolved remotely. No matter which part of the North Shore you are located, if you are connected to the internet you can get connected to a Techstream Solutions computer support expert. The convenience and efficiency offered by online computer support means our technician can be assessing your computer’s problem as soon as your service ticket has been lodged. Clients are offered the convenience to contact our Northern Beaches computer support Help Desk and speak directly with an engineer for assistance with any software or PC issues. Call our Frenchs Forest office on 1300 304 630 for fast computer support. Our computer support break/fix support service allows customers who haven’t entered a Managed Service Agreement with us to still have the opportunity to utilise our professional assistance on a “Pay as you go” basis when IT issues arise. Techstream Solutions understands that each business is unique. Our approach when developing IT support packages is to listen to our clients, acknowledge their requirements and most importantly understand and assess their IT environment. Once a thorough analysis is completed, our Systems Engineers will develop a flexible support package based on your requirements and budget. Overall, our range of monthly IT support packages are designed to make it easier for you to identify the best solution that meets all the needs and expectations of your office. Alternatively you are able to choose from one of our three tiered Support Stream Packages. Techstream Solutions are Northern Beaches computer support “geeks” located in the business district of Frenchs Forest. We are proud of our reputation for providing a superior IT support service to our clients. With a dedicated computer support help desk and easy ticket management system, our highly experienced consultants and engineers are readily available to provide effective ITC support assistance. We understand that downtime can be stressful and frustrating so our aim is to ensure your workplace environment is running at maximum efficiency and any ITC issues are resolved swiftly by our computer support team. Our experts can attend to all your business computer support requirements including managed IT, cloud services, backup and recovery, and cryptolocker decryption security. Our IT consultants can manage every aspect of your ITC infrastructure projects and upgrades.